Will Dr. Murray be Acquitted in the Death of Michael Jackson? The case of the People of California versus Conrad Murray began this week. The prosecutor came out slugging hard. First, after setting out the theory of their case in opening statement, that Dr. Murray gave Michael Jackson a lethal dose of Propofol, an intravenous anesthesia used for surgery, to help Jackson sleep and failed to monitor Jackson after administering the lethal dose. Murray is charged with involuntary manslaughter which means he committed an unintentional, unlawful killing with an act so egregious, so reckless that the likelihood of death or great bodily harm would occur. The DA began with showing photographs of Michael Jackson’s lifeless body on a gurney and an audio of Michael speaking so slowly that his voice was unrecognizable. The prosecution is attempting to portray Murray as knowing that Michael was on other prescription drugs, all while giving him the acute Propofol intoxication, according to the coroner. In the first week, the trial reveals the chaos in the bedroom following the death o, the attempts by Murray to cover up the use of the Propofol and the delayed calling of 911. The defense has only given an opening statement, briefly focusing on their defense that Michael Jackson was responsible for his own death by injecting himself with the lethal dose. The state has the burden of proof beyond a reasonable doubt. Murray and his defense team do not have to prove anything. Yet, with the stakes so high, the defense will attempt to show reasonable doubt by portraying Jackson as a drug addicted, sleep deprived maniac who would do anything to get sleep. Does Murray’s prior statement to detectives support his present theory? What evidence will the doctor use to show Jackson injected himself with the lethal dose? Do Murray’s actions immediately following the death of Michael Jackson, hiding use of the Propofol show signs of guilt? Will medical experts testify that use of Propofol, an anesthesia, as a sleep aid and lack of monitoring equipment in a controlled clinical setting is reckless? At this early stage of the trial, all signs point to Murray’s guilt. 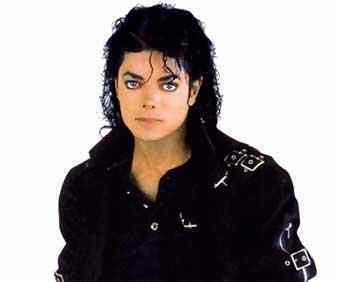 Dr. Murray repeatedly gave Michael Jackson an anesthesia for 2 months before his death as a sleep aid. That’s like putting someone under general anesthesia every day for 2 months. Dr. Murray’s team will have a lot of work to do through cross examination and any evidence to show that he was not the culprit. No matter what happens in the trial, “this is it”. And it’s sad, no matter what the outcome, that a pop icon, the likes of which will never be seen in most of our lifetimes again, is dead. And this is it. Debbie Hines is a lawyer and political/legal commentator seen on national and local media including CNN, the Michael Eric Dyson Show, XM Sirius radio, NBC , ABC and CBS -Washington, DC affiliates, the Wall Street Journal, Washington Post, USA Today, Black Enterprise among others. She founded LegalSpeaks, a progressive blog on women and race in law and politics. She also writes for the Huffington Post and Politic 365. President Obama gave a fiery speech to his most loyal base at the conclusion of the Congressional Black Caucus (CBC) dinner on Saturday. The President spoke to the mostly black crowd on the importance of faith and the works of politics to get the job done. President Obama highlighted some of his accomplishments specifically affecting African Americans like extending unemployment benefits, increasing Pell grants, substantially increasing funds to the HBCU’s over 10 years and providing health insurance to more than 1 million more young adults in the next 1 ½ years, to name a few. Yet, the President acknowledged “we have to do more to put people back to work right now,” starting with the American Jobs Act, reforms for long term unemployment and summer jobs for low income youth. Unfortunately, the speech was slightly marred at the very end with his comments to the CBC and those in attendance to “stop complaining and stop grumbling”. In many circles and to some members of the CBC, the comments were inappropriate or “curious”. I know these are words my mother often spoke to me while reprimanding me as child. Perhaps, his speech writer and the President himself should have rethought the use of this one line, which has been abuzz for a few days now. President Obama wants the CBC and his black base to apparently “march’ silently with him. Yet, members of the CBC represent the bulk of the almost 17% of unemployed African Americans and the 48% of African American children living in poverty. The unemployment rate among African Americans is at its highest, according to Obama in three decades. For the CBC, there is a fine line between critiquing the President and being able to enthusiastically get the African American base out in 2012. That line has not been crossed. And many black lawmakers no longer want to sit by idly without comment or critique; nor should they do so. Debbie Hines is a lawyer and political/legal commentator seen on national and local media including CNN, the Michael Eric Dyson Show, XM Sirius radio, NBC, ABC and CBS -Washington, DC affiliates, the Wall Street Journal, Washington Post, USA Today, Black Enterprise among others. She founded LegalSpeaks, a progressive blog on women and race in law and politics. She also writes for the Huffington Post and Politic 365. Democratic National Committee (DNC) Chair Debbie Wasserman Schultz and senior officials of the DNC met on September 21 with a group of prominent and influential African American bloggers to engage in conversation about the 2012 election and what’s at stake for the African American community. She says 2012 is personal. Our lives are at stake and our children’s future are on the line. Despite what other opinion pollsters may say, the President’s approval rating is still high among African Americans despite high unemployment and foreclosure rates. According to several Gallup polls by the same pollster given in August, 2008, 2009 and 2010, support for the President among African Americans hovers around 86%-88%. But, the DNC and Wasserman Schultz are taking nothing for granted. That’s why the meeting was called 14 months in advance of the election to get people on board. Wasserman Schultz mapped out the plan for registering voters, getting out the vote and messaging to African Americans. Many things have changed since 2008. President Obama took over the country at the worst possible time in history other than during depression and following the civil war. Yet, President Obama has made many accomplishments for African Americans despite the bleak statistics on unemployment. In the area of health care, more than 45% of African Americans have pre-existing illnesses and are often precluded from health insurance as a result. Due to the Affordable Care Act, African Americans will no longer be denied health insurance due to pre-existing diabetes, heart, high cholesterol or other illnesses. Rep. Debbie Wasserman Schultz fought hard for the Act as she knows all too well the significance of any having a pre-existing illness as a breast cancer survivor herself. In the area of crime, President Obama signed into law the Fair Sentencing Act to reduce the high difference in punishment for those convicted of cocaine possession or use versus those caught with crack cocaine. The law gets rid of the mandatory minimum sentences of those convicted with crack cocaine which disparity was directed at African Americans. In education, the President has provided nearly $1 billion more in funding to historically black colleges and universities (HBCU) over the next ten years. Further recognizing education as the key to our future, President Obama also provided $2 billion more funding over the next 4 years to community colleges. On the lower school level, President Obama has challenged states to turn around many low performing schools that serve African Americans by investing more than $4 billion to help turn those schools around. In the area of small business, 3.6 billion out of a total of 7.2 billion has been secured in grants and financing for black businesses as a result of the President’s Minority Business Development Agency. Getting the word out about the accomplishments of the President will be crucial. Many people are suffering from the economy and have not felt relief. And as Debbie Wasserman Schultz said about 2012, it’s personal for many people that the effect of the economy has had on their lives. But African Americans must stay focused and engaged on our future. And the DNC and President Obama must continue to get the word out of the accomplishments in a heartfelt way for many African Americans. The DNC under Debbie Wasserman Schultz’s helm plans to leave no stone unturned and no story untold. And time will tell the tale. Debbie Hines is a lawyer and political/legal commentator who is seen on national and local media including NBC, ABC and CBS -Washington, DC affiliates, the Wall Street Journal, Washington Post, USA Today, Black Enterprise, the Michael Eric Dyson Show, XM Sirius radio, among others. She founded LegalSpeaks, a progressive blog on women and race in law and politics. She also writes for the Huffington Post and Politic 365. Troy Davis’ execution must be the beginning of a new resurgence in this country to end the death penalty. The fight must continue forward and that’s what will honor the legacy of Troy Davis. As Troy said, it was not just about him but for all the other Troy Davis that came before him and will unfortunately come after him. Davis had an unprecedented amount of support that included almost 1 million signatures to a Petition calling for his clemency including former President Jimmy Carter, Desmond Tutu, former FBI director William Sessions, Pope Benedict XVI and a host of others. Since his conviction in 1991 of killing officer McPhail in 1989, 7 of the 9 witnesses had come forward to recant their testimony with allegations that one of the witnesses was the actual killer. But, this was not enough to convince the Georgia court system, the Georgia Parole board, Larry Chisolm, the county’s first African American district attorney or the Supreme Court of his innocence or to spare his life. Troy maintained his innocence up to the time of his execution, even requesting to give a lie detector test which was denied by the prison. At the end, he told his family and the family of slain officer McPhail that he did not commit the murder and did not have a gun on him. At 11:08 on September 21, 2011, Troy was pronounced dead. The death penalty does not serve the interest of justice, the victim’s families or our society. Nationally, 130 innocent persons have been condemned to die since the early 1970’s. Some have been exonerated by DNA evidence. In Troy’s case, there was no DNA, only tainted witness testimony. Sending one innocent person to their death is too many. In Maryland, a Commission on Capital Punishment found that for almost every 9 persons sent to death row, one innocent person has been exonerated. Families of the victims wait often decades for their perceived “justice”. Annaliese McPhail, mother of the slain officer says she wanted her family to “have some peace and start our lives.” Peace does not come from killing another human being. Unlike McPhail’s mother, another victim’s mother is advocating for repeal of the death penalty. Vicki Schieber, the Maryland mother of a daughter who was brutally raped and killed in 1998, has testified before the US Senate and several states, including New Jersey which abolished the death penalty in 2007. She says she never wanted the death sentence for her daughter’s killer even though she was pressured by the prosecutor to endorse it. She says it has brought her and her husband peace. New Jersey became the first state in over 40 years to abolish its death penalty in 2007. But recent hard fought efforts to end in other states have failed. The momentum is growing and now is the time to keep it going. The Supreme Court has moved towards limiting the death penalty forbidding the death penalty for juveniles and mentally retarded and banning for crimes that did not involve killings. In 2007, the court placed on hold all executions for eight months while deciding if lethal injection is a cruel and unusual punishment. It later decided that it was not cruel and unusual punishment. 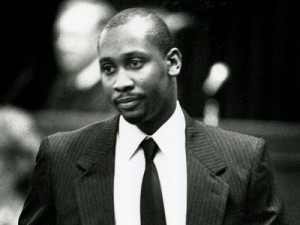 Troy Davis died by lethal injection. 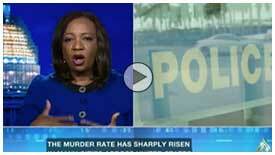 The death penalty has not been a deterrent to crime, is expensive, racially biased and unfair. Taxpayers spend millions on a failed system. One Maryland commission found that pursuing a death penalty case is three times more expensive to taxpayers than pursuing a non-capital punishment case. In death sentences, almost half of those receiving the death penalty are black. The prison population is over 40% black men while black men make up only 6% of the population. Life without parole should replace the death penalty as the most severe punishment in America. For the efforts led by NAACP, Ben Jealous, Amnesty International, Democracy Now.org and a host of others, now is not the time to stop. To the family of Officer McPhail, may you find peace one day. And to the family of Troy Davis, you have lost a son, brother, uncle and friend but have gained millions of others. We are all Troy Davis. Debbie Hines is a lawyer and political/legal commentator who is seen on national and local media including NBC, ABC and CBS -Washington, DC affiliates, the Michael Eric Dyson Show, XM Sirius radio, the Wall Street Journal, Washington Post, USA Today, Black Enterprise among others. She founded LegalSpeaks, a progressive blog on women and race in law and politics. She also writes for the Huffington Post and Politic 365. 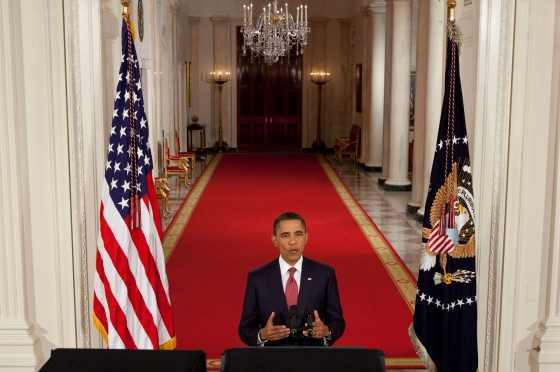 President Obama will present his jobs proposal to a Joint Session of Congress on Thursday, September 8. Some Republicans plan to skip the Joint Session to host football parties, campaign for themselves, stay home and otherwise disrespect our President and ignore our nation’s urgent need to work to create jobs. Jobs should be the top priority in Washington. Republicans have made clear that their top priority is seeing President Obama fail, even at the expense of Americans failing. Instead of listening to the President and working with the President on jobs, the GOP lawmakers prefer to stay home watching football games, mock the President’s job proposals, and offer none of their own. President Obama proposes to unveil plans to put Americans back to work in jobs that will strengthen our country, like fixing roads, bridges and schools. Republicans mock this approach saying fixing schools does nothing for our education system. We’re talking about jobs here and not test scores. Repairing schools could put up to 5 million Americans back to work. And if we don’t repair our roads and bridges, it will cost nearly 1 million jobs and set our economy back by $1 trillion dollars over the next 10 years. Rather than work with the President on jobs or a jobs plan of their own, Republicans prefer to give tax breaks to the richest 400 millionaires who have more wealth than half of the people in the US combined. Republicans have tried to eliminate almost 7 million jobs this year. Our economy needs big, bold and new programs to get the stalled economy moving again. And it needs our lawmakers of both parties to work with the President to get the job done. Debbie Hines is a lawyer and legal/political commentator who is frequently seen in the media addressing issues involving law at the intersection of politics, gender and race. She also writes for the Huffington Post and the Women’s Media Center. She has been featured in the Washington Post, Washington Times, Wall Street Journal, USA Today and Black Enterprise, among others. Labor Day should be a time for us to take pause at how many Americans are out of work or under employed and work to do something about it. No, most Americans cannot invent jobs or hire employees. But as Americans, we can go to our lawmakers, those in Congress and the Senate, and hound them to find the solutions to our jobs and economic dilemma. That’s why we sent them to Washington, DC. The August Bureau of Labor jobs report was worse than abysmal, showing that no net jobs were created and little change since April. As we celebrate Labor Day around the country, it’s ironic that so many Americans are out of work. For many Americans, a Labor day holiday is unfortunately an everyday occurrence. 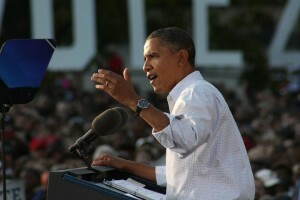 President Obama is scheduled to deliver yet another jobs speech on Thursday, September 8 on his new jobs initiatives. One Republican lawmaker has already said that it will be difficult to hear the President make yet another speech on jobs. So, if the Republicans are tired of hearing President Obama speak on our lackluster economy and jobless issue, why don’t they go to work in Congress and do something about it? Why don’t they get us back to working again? They have no intention of doing anything of the sort. Republicans made it clear that their priority and goal is to make sure that President Obama is a one- time president. Saying it repeatedly makes clear that “there’s no shame in their game”. Republicans who flat out refuse to work towards a jobs and economic solution in their efforts to bring down President Obama and the country in the process are becoming the new beltway economic terrorists. Unfortunately, the Republican brand of terrorism is extending far beyond the beltway and taking hostage many Americans out of work across the country. 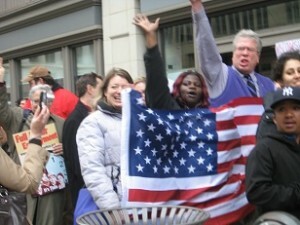 Americans are being held hostage by the GOP anti-job, pro big corporaitons sentiment. It’s now been 243 days since the Republican controlled Congress took office in January, 2011 saying they intended to produce jobs. Well, 243 days later and counting, there still has not been one jobs bill by them. The August unemployment rate which is determined by looking at persons looking for work in the last 4 weeks was 9.1 percent. It is much higher, hovering at 16.1% when you take into account persons who are underemployed, involuntarily working part time and those who have been looking since last year. And for African Americans, the August unemployment rate rose to 16.7%. And the only way on this Labor Day that we will see jobs is to make sure our lawmakers are working to make jobs. The majority of Americans who care about our country need to go to work on this Labor Day. They need to work by sending letters, E-mails, phone calling and making in person visits to their representatives and not stop until Americans are working again. And come next November, 2012, we need to go to the polls and put out of work , those who have tirelessly worked against putting us back to work.